Day 5 of the Tour was a déjà vu disappointment. 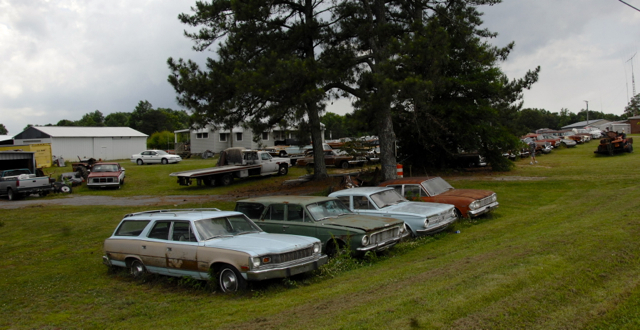 Rolling down Highway 157 in Alabama, we stopped at Ray White's Antique Cars. 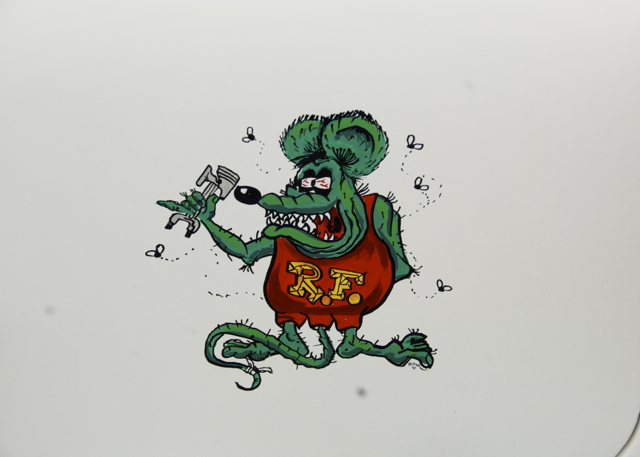 We've made the 157 run many times, stopping often to gawk and dream when we arrived at Ray's. Heroes of the past dotted his lot: Hudsons, Thunderbirds, Imperials. They were arrayed in the splendor of patina that only decades of sunbathing can bring. Sure, it was an automotive potpourri, but the scent was pure Americana! This time Ray's lot left a lot to be desired. I think I know how the oldtimers felt when they saw the bison dying out. The row of vintage Detroit metal on the south side ... gone! The old trucks hiding out in the bushes ... gone! The twins sitting by the old tree stump ... gone! There were a few survivors, but I suppose age and the State are both leaning on Ray to move 'em or lose 'em! 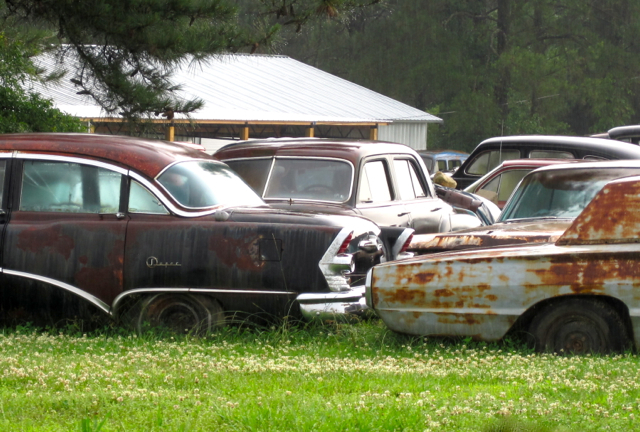 Here are some of the rides we saw in 2010 . . .
That was then, when cars were packed like cattle. This is now, when the entire herd seems to be going, going, gone. All that is rather depressing, so let me show you some highlights from Day 5 of the Hot Rod Power Tour at Hoover Metropolitan Stadium. There were trucks old and new . . . 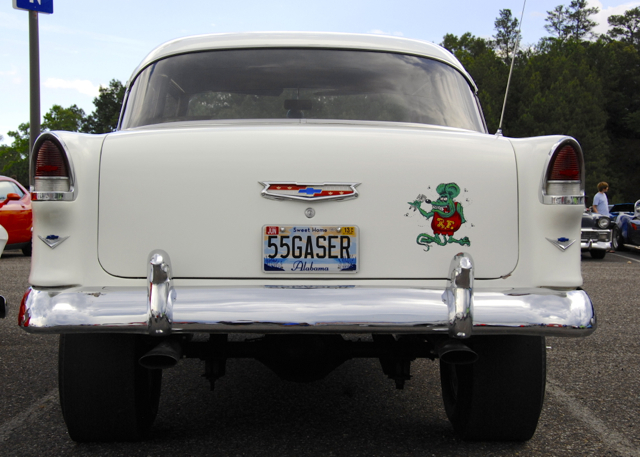 There was a 1955 Gasser too . . .
And tail fins you just couldn't hide . . . There was the crazy and the lazy . . .
And a tasmanian devil and two old hoots on the loose. Trust in the One who guarantees a life that will not tarnish like patina and cannot fall under the crusher's blow.